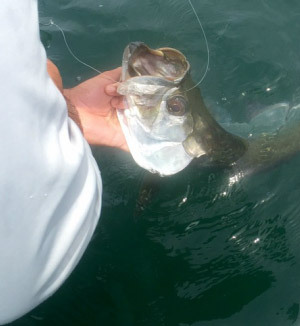 Tarpon, Snook, Jacks, Snappers, Barracuda and more can be caught on light tackle on our inshore trips. We will use a variety of live baits including live shrimp, pilchards, pinfish, sardines and goggle eyes. 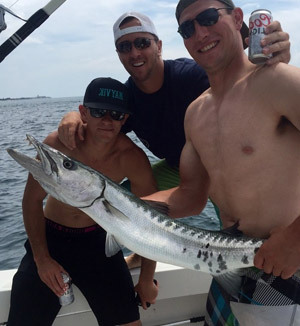 A blend of some inshore and offshore fishing – The best of both worlds! 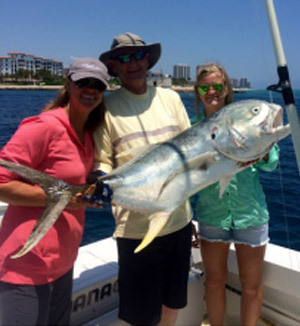 Spend a portion of time inshore fishing and the other portion offshore or nearshore to get a complete experience! 4 different tour options – Take a nice relaxing tour on a fully rigged HOBIE Peddle kayak. You’ll have a cooler, ice, waters, and all the gear needed for a great day, including digital pictures to remember the trip! *Live bait is available for an extra fee. Fully Rigged Hobie Pedal Kayak. All gear and tackle and USCG Safety equipment is included. Cooler with ice and waters. Digital pictures of your days adventure. *Live bait is available for an extra fee. 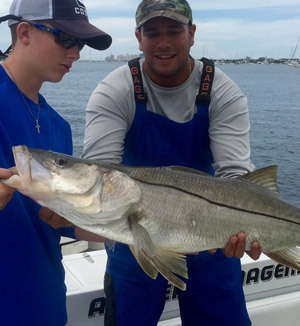 Snook are the probably the most sought after inshore game fish in South Florida. They take an art to master targeting them, they fight hard, jump and taste delicious! Jack Crevalle or “Jacks” as they’re more commonly known provide a tough battle that can last over 30 minutes. Very hard fishing fish! Barracuda or “Cudas” will make for excitement they way they demolish live bait. They’re known to make frequent leaps and bounds and strong runs. Catch them up to 40 pounds on inshore & combo fishing trips! Tarpon are without a doubt one of the most spectacular game fish in the world. Watching a 100 pound fish make numerous jumps gets the heart pounding fast! • Fly Fishing “Bait & Switch” -We recommend you bring your own preferred fly rods and reels however, we will rig them with necessary leaders and provide flies for you based on the pattern the fish are feeding.